First Coast Home Pros consists of highly skilled professionals who are committed to providing you an unsurpassed level of service with the highest standard of care. We have teams of specialists to clean your home inside and out, from top to bottom. Once spring cleaning is done, you’ve probably put the bleach away and your carpet, upholstery and rugs have been cleaned by a professional cleaning company. Now that the temperature is rising, it’s time to get the home ready to enjoy in warm weather! Keeping the carpets clean is quite a challenge, especially for those homes that have pets or a lot of traffic. By keeping the carpet cleaned, it will improve its appearance, the health of all those who use it and increase the selling value of the property. Follow theses outlined carpet cleaning tips below to ensure your carpet is always looking its best. Treat stains immediately when they occur. While the accident or spill is still wet, you want to absorb as much of the liquid as you can using a clean rag. 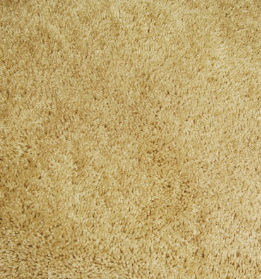 Soak the area using a safe carpet cleaner. Wait for a few minutes to allow the cleaner to soak into the carpet. Absorb any excess moisture using a clean rag. Repeat the process until the stain is gone. Make sure the area stays wet until you are done with the carpet cleaning in your Jacksonville, FL home. If the stain is allowed to dry, it will make it a lot more difficult, if not almost impossible, to try and clean it out later on.